Excelsior High School head coach Daniel Riley watches his team tackle St Catherine High on Friday. Excelsior won the match 2 - 1. 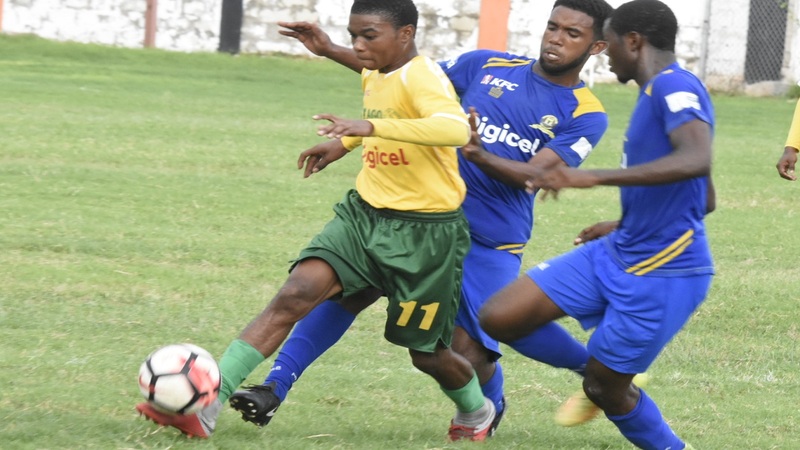 Mona High will host Dunoon on Monday at 3:30 pm, needing only a draw to confirm their place in the second round of the ISSA/Digicel Manning Cup. 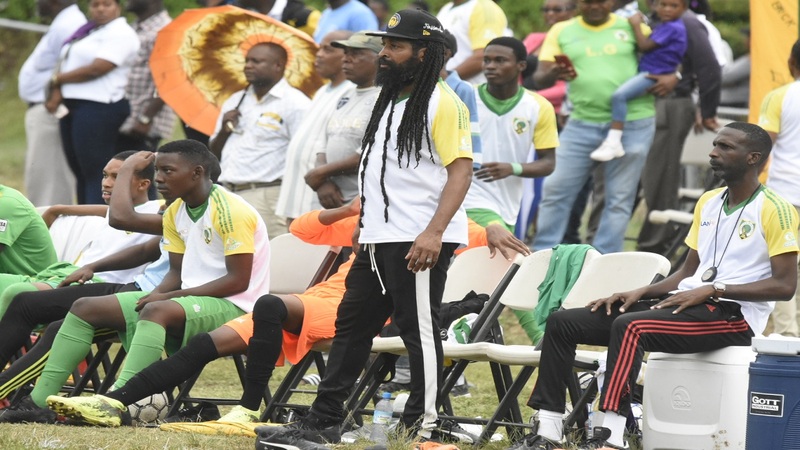 The top two teams from each of the seven groups, as well as the two overall best third-placed teams, will advance to the next stage of the schoolboy football competition. The nine teams that have qualified for the second round so far are: Group A – St George’s College and last year’s beaten finalist, St Andrew Technical; Group B – Kingston College (KC); Group C – Camperdown and Charlie Smith; Group D – Denham Town; Group F – defending champions Jamaica College (JC); and Group G – Wolmer’s Boys' and Holy Trinity. The point earned from the draw will enable Mona to join KC as automatic qualifiers from Group B. 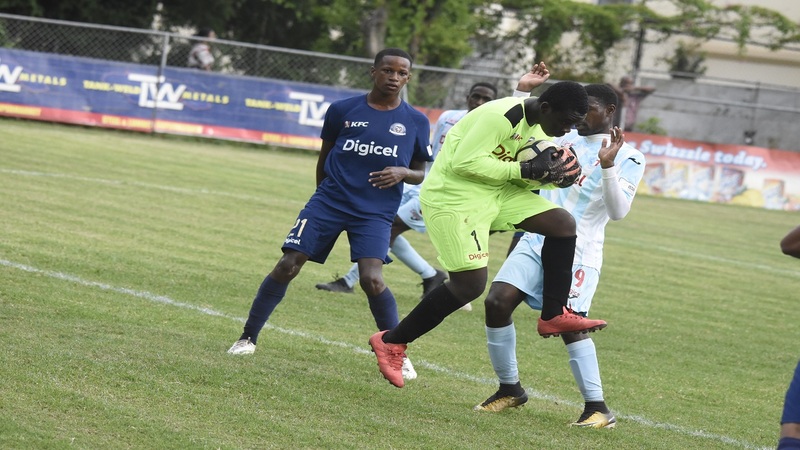 Also in a position to advance on Monday are Excelsior and St Catherine from Group E as well as Hydel from Group F.
Against the lowly Dunoon, who they defeated 2-0 in the first-leg, Mona, playing at home, are favoured to get the point needed to advance. KC lead the group on 24 points with Mona second on 19 and Calabar third on 13. All three have two matches left to play in the preliminary stage. For Excelsior to advance from Group E, they will have to beat Haile Selassie on the latter’s home turf, as they did in the first leg with a 3-1 win. St Catherine and Excelsior are locked on 18 points at the top of the group, with goal difference giving St Catherine the advantage. Haile Selassie are third on 16 points. 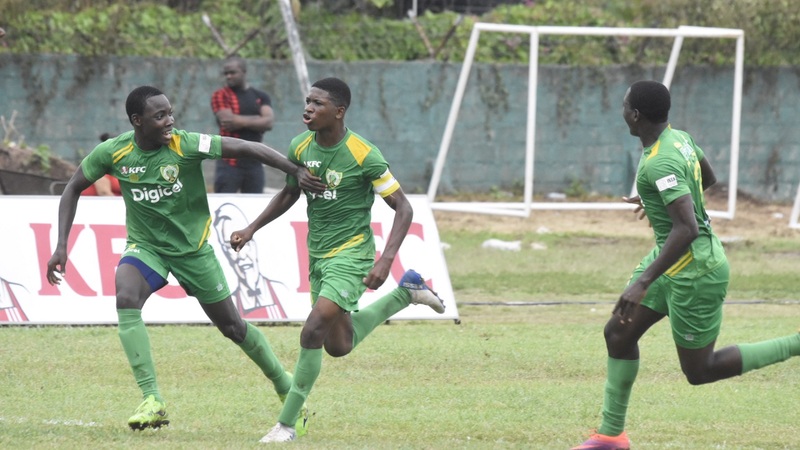 St Catherine can also advance to the next phase of the competition, should they defeat Penwood, at Owen Palmer Oval in Homestead and the match between Excelsior and Haile Selassie draws or ends with a victory for Excelsior. St Catherine had hammered Penwood 7-0 in the first leg. Hydel will be hosting Campion College needing a victory to join JC as Group F’s automatic qualifiers. JC lead the group on 22 points, three more than Hydel with Vauxhall third on nine. JC and Hydel, however, have played eight matches with Vauxhall playing six. Meanwhile, in Group A, St George’s can top the group with a win at St Andrew Technical, likewise, KC can win Group B with a victory at Ardenne.